Dance Studio No. 1 is the perfect place to host castings, filming, rehearsals or birthday parties. 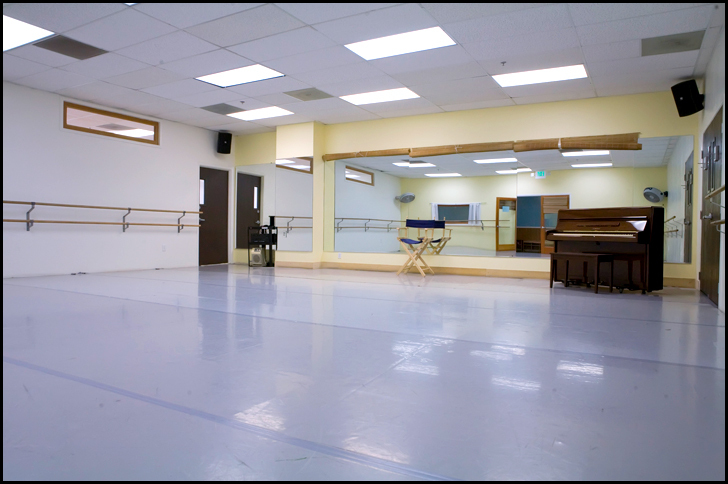 Conveniently located on the corner of Bundy and Pico in west Los Angeles (just off the 10 freeway, Bundy exit), DS1’s studio facilities include four studios with plenty of onsite parking. 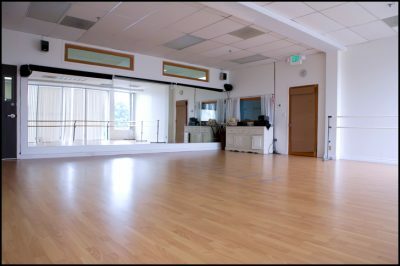 Studio space is available for rent. For availability, please contact the Studio at (310) 979-9929. 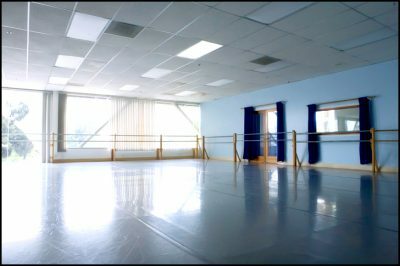 Our Anna Pavlova studio is a “state of the art studio”, with dimensions of 40×40, 1,600 square feet, and a sprung floor with a Marley overlay, making it the ideal studio for numerous types of dance. 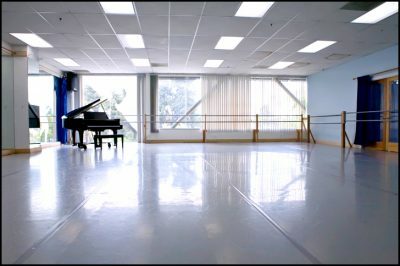 It is equipped with mirrors, a sound system, piano and barres mounted on the wall. This studio has a large window, which allows for a great amount of natural light. The Bob Fosse studio has dimensions of 30×30, 900 square feet, with sprung floor and a Marley overlay. 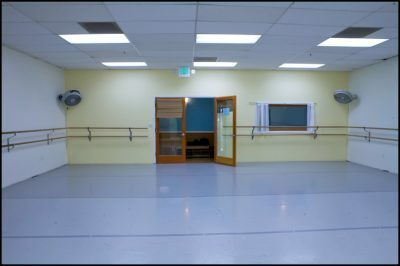 It is equipped with mirrors, a sound system, and barres mounted onto the walls. A portable piano is also available for this room. 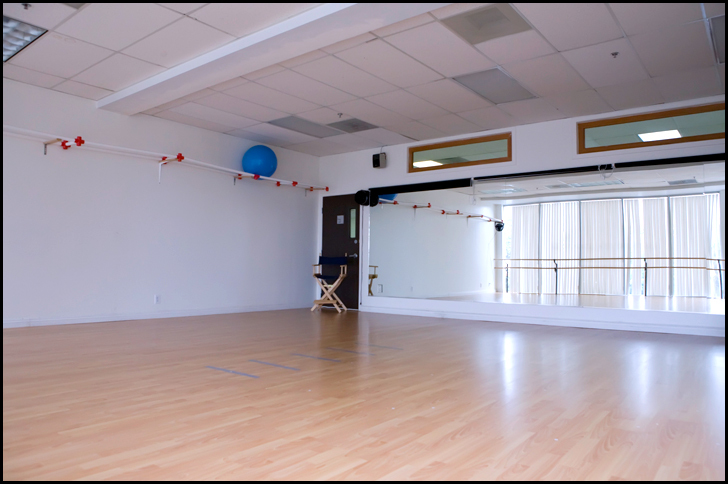 Our Charlie Chaplin studio has dimensions of 25×25, 625 square feet, a sprung floor and Marley overlay. (Please note, the Marley floor is not shown in the photo; a hardwood floor is shown.) The studio has barres mounted to the wall, and is equipped with a stereo and portable piano. It has a floor-to-ceiling window that allows for a great amount of natural light. This private studio is ideal to practice with a partner or for a small class. It measures 13×18, over 200 square feet. It is equipped with mirrors and CD player. 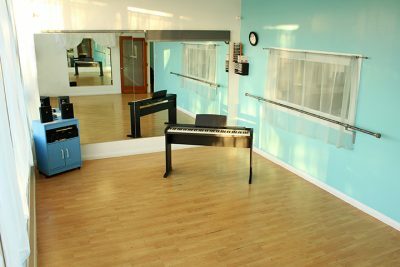 A piano is also available for this studio, making it an ideal location creativity and musicality. Portable barres are available for this studio.